Machines are required to accomplish one of three tasks: hold a load stationary (react force), set a load to motion (provide force), bring a load to rest (stop force). Often a machine is required to accomplish all three. No matter which tasks are required, the machine needs a structure. 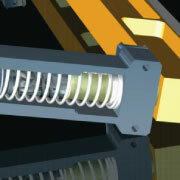 All products and machines are made up of structural elements that provide these tasks. A 100 meter wind turbine or cell phone both follow the same principles of engineering. Granted, their engineering requirements are quite different in magnitude and perspective, but in theory they obey the same laws. Relative to the law of physics, whether a load is large or small makes little difference. The order of magnitude of the load is merely a value that needs to be coped with. Very small loads may only require a thin strip of beryllium copper to accomplish their task, while larger loads can demand thick high alloy heat treated steels. Once these loads are understood, the engineer calls upon their knowledge of mechanics and strengths of materials to select the correct types of materials that are necessary, capable and proper. Balance and optimization are necessary to keep all these requirements in check. To keep the engineering requirements in check, it is necessary to have a thorough understanding of the client’s desires, necessities and risks. 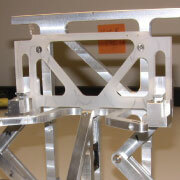 The fabrication process requires prototypes to visualize, understand, measure and test. 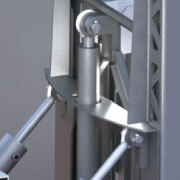 This level of structural engineering understanding provides for a very powerful basis for the design of all machines and products. Armed with the client’s requirements and this knowledge permits the engineer to design an efficient and effective solution. The creation of this solution is often more art than science. It’s an art that requires skills that have been honed over decades of engineering experience. Skills of today’s engineer go much farther than the ability to analyze and calculate. 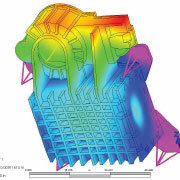 The ability to analyze and calculate while utilizing very powerful computer programs to accurately represent their creation in 3D has granted the engineer enormous benefits, not only to visualize their creation, but the ability to evaluate and demonstrate the design with their peers and non-engineer partners.